Made during the early years of the movie musical, this exuberant revue was one of the most extravagant, eclectic, and technically ambitious Hollywood productions of its day. 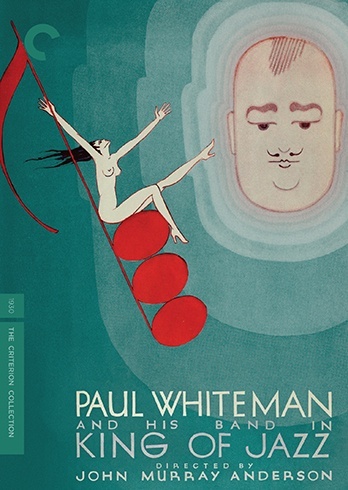 Starring the bandleader Paul Whiteman, then widely celebrated as the King of Jazz, the film drew from Broadway variety shows to present a spectacular array of sketches, performances by such acts as the Rhythm Boys (featuring a young Bing Crosby), and orchestral numbers—all lavishly staged by veteran theater director John Murray Anderson. Presented here in the most complete form possible and restored to its original early-Technicolor glory, King of Jazz offers a fascinating snapshot of the way mainstream American popular culture viewed itself at the dawn of the 1930s. New 4K digital restoration by Universal Pictures. This 2DVD edition includes a lot of brand new bonus features.